One of the saddest things I see in my personal injury law practice is the people who have suffered major injuries but failed to recognize them until it is too late to recover the full damages they should have. That is one of the main reasons I constantly stress, in these articles and with clients in my office, the importance of seeking medical attention immediately after any accident has occurred and not to ignore even the slightest aches or pains. Today, we will begin to talk about two of the most commonly ignored injuries that can have truly, life-altering ramifications. They are both very widespread in auto accidents and much too often written off at the time they occur. 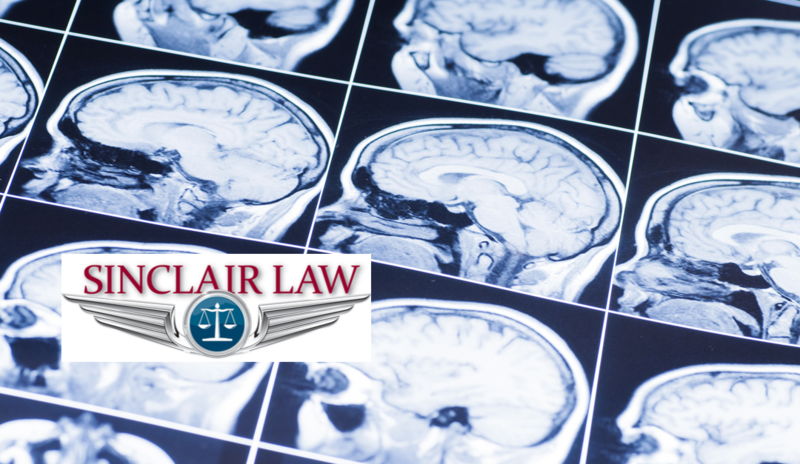 An auto accident, even a minor one, can be a very traumatic event that subjects the victims to mental and emotional stress as well as the physical trauma of the impact. Because of this, people all too often excuse minor aches, pains, tingling sensations and dizziness as just the effects of being shaken up from the accident. This can be a very costly error both monetarily and in regard to the quality of life that you may be able to enjoy from that time forward. I will apologize in advance for these articles being slightly technical in nature and for having to split this into two separate articles. There is simply too much information that needs to be covered to squeeze it into one piece, and as you know, I try to never short change you in any way. The best way I know to explain a herniated disk is to ask you to think of a stack of jelly donuts with a plate in between each one and a collection of tubes running through the center of the entire thing. That, in a way, is similar to how the human spine is constructed. Vertebrae (the plates) are the hard bone portions. The tubes are the nerve pathways that carry information and commands between your brain and body, and the donuts are the jelly (nucleus pulposus) filled disks (annulus fibrosus) that give your spine flexibility and allow it to absorb a considerable amount of shock. If you mash down on the center of the stack it will compress and then spring back up, but if you apply pressure at an angle the disk won’t be able to withstand as much pressure before one or more of them will start trying to jump out of alignment and try to squirt jelly everywhere. When this happens, it is a herniated disk. In most cases, when the disk’s outer crust becomes damaged, you will experience some back pain but it will normally fade rather quickly. The pain will fade, but the damage will still be there and become worse with time. As the damaged disk continues to break down and slip further out of alignment, you can experience continued bouts with backaches, tingling sensations, numbness, muscle spasms and weakness virtually anywhere in your body. This is caused by the disk putting pressure on the nerves and will become progressively worse over time. You can well imagine what this can do to your quality of life. Worst of all, if left untreated your back injury could reach a point where therapy and steroidal treatment might not be sufficient to relieve the pressure on the disk, and then you are looking at having to have expensive back surgery. Auto accidents are by no means the only way you can injure your back. Tripping, slip and fall accidents or any other incident that causes a sudden or jarring motion to the spine can result in a herniated disk. I hope I haven’t gotten too technical in this article, but I cannot stress too much the impact that an injury like this can have on your quality of life and your ability to provide for yourself and your family. If you have been in an accident, seek medical attention. Always! The longer you wait, the greater the risk that you will only further irritate your injury and the more likely that the responsible party’s insurance will not have to compensate you for your pain and medical expenses. In our next article, we will look at the other of our under-reported injuries, brain injuries, and what they involve. I’m Brad Sinclair of Sinclair Law, where we go the extra mile for you.